(B) Gospel behind the Gospels. The Gospels we have now that we take for granted as the first and most authentic are constructed by communities, not individuals,(due to redaction, the editing process). They are composed from prior documents meaning that many of the very same reading were not the original words of authors named "Matthew, Mark, Luke, John" but already existed and already circulated in other forms. In other words, there are older "pre Gospel" Gospels. that can be dated as earlier as mid first century or so. We know this through a variety of sources. 1 Corinthians 15:3-8 has long been understood as a formula saying like a creedal statment. Two problems: (1) Doesn't conform to a canonical reading; (2) seems to contradiction the order of appearances of the epiphanies (in fact doesn't even mention the women). Nevertheless it is in general agreement with the resurrection story, and seems to indicate an oral tradition already in circulation by the AD 50s, and probably some time before that since it has had tome to be formed into a formulamatic statement. The problem with showing Oral tradition is that we have to find it in writing and this is essentually impossible. But we do find references to it in Paul. We find the doxology and other sayings that to which he alludes. On this basis Baultmann developed "form cricisim" because the important aspect was the form the oral tradition too, weather parable, narration, or other oral form. 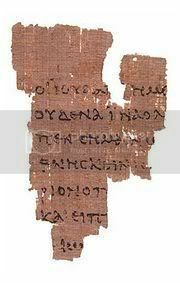 The Gospel of Thomas which was found in a Coptic version at Nag Hammadi, but also exists in another form in several Greek fragments, is a prime example of a saying source. The narratival elements are very minimul, amounting to things like "Jesus said" or "Mary asked him about this,and he said..." The Gospel is apt to be dismissed by conservatives and Evangelicals due to its Gnostic elements and lack of canonicity. While it is true that Thomas contains heavily Gnostic elements of the second century or latter, it also contains a core of sayings which are so close to Q sayings from the synoptics that some have proposed that it may be Q (see Helmutt Koester, Ancient Christian Gospels). Be that as it may, there is good evidence that the material in Thomas comes from an independent tradition,t hat it is not merely copied out of the synoptics but represents a PMR. "The one incontrovertible testimonium to Gos. Thom. is found in Hippolytus of Rome (Haer. 5.7.20). Writing between the years 222-235 C.E., Hippolytus quoes a variant of saying 4 expressly stated to be taken from a text entitled Gos. Thom. Possible references to this gospel by its title alone abound in early Christianity (e.g. Eus. Hist. Eccl. 3.25.6). But such indirect attestations must be treated with care, since they might refer to the Infancy Gospel of Thomas. Parallels to certain sayings in Gos. Thom. are also abundant; some are found, according to Clement of Alexandria, in the Gospel of the Hebrews and the Gospel of the Egyptians. However, a direct dependence of Gos. Thom. upon another noncanonical gospel is problematic and extremely unlikely. The relationship of Gos. Thom. to the Diatessaron of Tatian is even more vexed, exacerbated by untold difficulties in reconstructing the textual basis of Tatian's tradition, and has not yet been resolved." Kirby--In Statistical Correlation Analysis of Thomas and the Synoptics, Stevan Davies argues that the Gospel of Thomas is independent of the canonical gospels on account of differences in order of the sayings. (Kirby quoting Patterson)"If Thomas were dependent upon the synoptic gospels, it would be possible to detect in the case of every Thomas-synoptic parallel the same tradition-historical development behind both the Thomas version of the saying and one or more of the synoptic versions. That is, Thomas' author/editor, in taking up the synoptic version, would have inherited all of the accumulated tradition-historical baggage owned by the synoptic text, and then added to it his or her own redactional twist. In the following texts this is not the case. Rather than reflecting the same tradition-historical development that stands behind their synoptic counterparts, these Thomas sayings seem to be the product of a tradition-history which, though exhibiting the same tendencies operative within the synoptic tradition, is in its own specific details quite unique. This means, of course, that these sayings are not dependent upon their synoptic counterparts, but rather derive from a parallel and separate tradition." Koster theorizes that Paul probably had a saying source like that of Q avaible to him. Paul's use of Jesus' teachings indicates that he probably worked from his own saying source which contained at least aspects of Q. That indicates wide connection with the Jerusalem chruch and the proto "Orthodox" faith. Egerton 2: "And behold a leper came to him and said "Master Jesus, wandering with lepers and eating with them in the inn, I therefore became a leper. If you will I shall be clean. Accordingly the Lord said to him "I will, be clean" and immediately the leprosy left him. Egerton 2: "tell us is it permitted to give to Kings what pertains to their rule? Tell us, should we give it? But Jesus knowing their intentions got angry and said "why do you call me teacher with your mouth and do not what I say"? Mark 12:13-15: Is it permitted to pay taxes to Caesar or not? Should we pay them or not? But knowing their hypocrisy he said to them "why do you put me to the test, show me the coin?" Fragments of the Gospel of Peter were found in 1886 /87 in Akhimim, upper Egypt. These framents were from the 8th or 9th century. No other fragment was found for a long time until one turned up at Oxyrahynchus, which were written in 200 AD. Bishop Serapion of Antioch made the statement prior to 200 that a Gospel had been put forward in the name of Peter. This statement is preserved by Eusebius who places Serapion around 180. But the Akhimim fragment contains three periciopes. The Resurrection, to which the guards at the tomb are witnesses, the empty tomb, or which the women are witnesses, and an epiphany of Jesus appearing to Peter and the 12, which end the book abruptly. Many features of the Gospel of Peter are clearly from secondary sources, that is reworked versions of the canonical story. These mainly consist of 1) exaggerated miracles; 2) anti-Jewish polemic.The cross follows Jesus out of the tomb, a voice from heaven says "did you preach the gospel to all?" The cross says "Yea." And Pilate is totally exonerated, the Jews are blamed for the crucifixion. (Koester, p.218). However, "there are other traces in the Gospel of Peter which demonstrate an old and independent tradition." The way the suffering of Jesus is described by the use of passages from the old Testament without quotation formulae is, in terms of the tradition, older than the explicit scriptural proof; it represents the oldest form of the passion of Jesus. (Philipp Vielhauer, Geschichte, 646] Jurgen Denker argues that the Gospel of Peter shares this tradition of OT quotation with the Canonicals but is not dependent upon them. (In Koester p.218) Koester writes, "John Dominic Crosson has gone further [than Denker]...he argues that this activity results in the composition of a literary document at a very early date i.e. in the middle of the First century CE" (Ibid). Said another way, the interpretation of Scripture as the formation of the passion narrative became an independent document, a ur-Gospel, as early as the middle of the first century! 3) Koester believes that the account ends with the empty tomb and has independent sources for the epihanal material. So Koester differs from Crosson mainly in that he divides the epiphanies up into different sources. Another major distinction between the two is that Crosson finds the story of Jesus burial to be an interpolation from Mark to John. Koester argues that there is no evidence to understand this story as dependent upon Mark. (Ibid). Unfortunately we don't' have space to go through all of the fascinating analysis which leads Koester to his conclusions. Essentially he is comparing the placement of the pericopes and the dependence of one source upon another. What he finds is mutual use made by the canonical and Peter of a an older source that all of the barrow from, but Peter does not come by that material through the canonical, it is independent of them. "The Gospel of Peter, as a whole, is not dependent upon any of the canonical gospels. It is a composition which is analogous to the Gospel of Mark and John. All three writings, independently of each other, use older passion narrative which is based upon an exegetical tradition that was still alive when these gospels were composed and to which the Gospel of Matthew also had access. All five gospels under consideration, Mark, John, and Peter, as well as Matthew and Luke, concluded their gospels with narratives of the appearances of Jesus on the basis of different epiphany stories that were told in different contexts. However, fragments of the epiphany story of Jesus being raised form the tomb, which the Gospel of Peter has preserved in its entirety, were employed in different literary contexts in the Gospels of Mark and Matthew." (Ibid, p. 240). Also see my essay Have Gaurds, Will Aruge in which Jurgen Denker and Raymond Brown also agree about the independent nature of GPete. 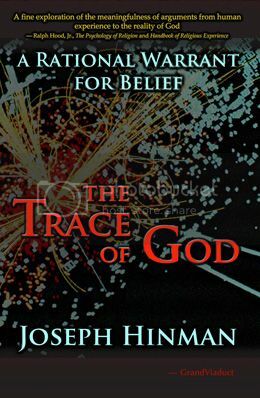 Brown made his reputation proving the case, and publishes a huge chart in Death of the Messiah which shows the interdependent nature and traces it line for line. Unfortunately I can't reproduce the chart. What all of this means is, that there were independent traditions of the same stories, the same documents, used by Matthew, Mark, Luke and John which were still alive and circulating even when these canonical gospels were written. They represent much older sources and the basic work which all of these others use, goes back to the middle of the first century. It definitely posited Jesus as a flesh and blood man, living in historical context with other humans, and dying on the cross in historical context with other humans, and raising from the dead in historical context, not in some ethereal realm or in outer space. He was not the airy fairy Gnostic redeemer of Doherty, but the living flesh and blood "Son of Man." Moreover, since the breakdown of Ur gospel and epiphany sources (independent of each other) demands the logical necessity of still other sources, and since the other material described above amounts to the same thing, we can push the envelope even further and say that at the very latest there were independent gospel source circulating in the 40s, well within the life span of eye witnesses, which were based upon the assumption that Jesus was a flesh and blood man, that he had an historical existence. Note: all these "other Gospels" are not merely oriented around the same stories, events, or ideas, but basically they are oriented around the same sentences. There is very little actual new material in any of them, and no new stories. They all essentially assume the same sayings. There is some new material in Thomas, and others, but essentially they are all about the same things. Even the Gospel of Mary which creates a new setting, Mary discussing with the Apostles after Jesus has returned to heaven, but the words are basically patterned after the canonical gospels. 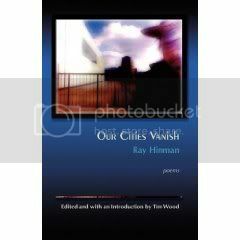 It is as though there is an original repository of the words and events and all other versions follow that repository. This repository is most logically explained as the original events! Jesus actual teachings! The Diatessaon is an attempt at a Harmony of the four canonical Gospels. 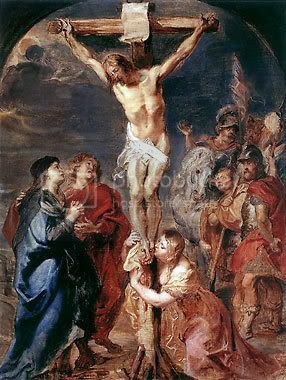 It was complied by Titian in about AD172, but it contains readings which imply that he used versions of the canonical gospels some of which contain pre markan elements. From this notion as a base line for the beginning of the process of redaction, and using the traditional dates given the final product of canonical gospels as the base line for the end of the process, we can see that it is quite probable that the canonical gospels were formed between 50 and 95 AD. It appears most likely that the early phase, from the events themselves that form the Gospel, to the circulation of a written narrative, there was a controlled oral tradition that had its hay day in the 30's-40's but probably overlapped into the 60's or 70's. The say sources began to be produced, probably in the 40's, as the first written attempt to remember Jesus' teachings. The production of a written narrative in 50, or there about, probably sparked interest among the communities of the faithful in producing their own narrative accounts; after all, they too had eye witnesses. Between 50-70's those who gravitated toward Gnosticism began emphasizing those saying sources and narrative periscope that interested them for their seeming Gnostic elements, while the Orthodox honed their own orthodox sources that are reflected in Paul's choices of material,and latter in the canonical gospels themselves. So a great "divvying up" process began where by what would become Gnostic lore got it's start, and for that reason was weeded out of the orthodox pile of sayings and doings. By that I mean sayings Like "if you are near to the fire you are near to life" (Gospel of the Savior) or "cleave the stone and I am there" (Thomas) "If Heaven is in the clouds the birds of the air will get there before you" (Thomas) have a seeming gnostic flavor but could be construed as Orthodox. These were used by the Gnostically inclined and left by the Orthodox. That makes sense as we see the earliest battles with gnosticism beginner to heat up in the Pauline literature. My own theory is that Mark was produced in several forms between 60-70, before finally comeing to rest in the form we know it today in 70. During that time Matthew and Luke each copied from different versions of it. John bears some commonality with Mark, according to Koester, becasue both draw upon the PMR. Thus the early formation of John began in 50-s or 60s, the great schism of the group probably happened in the 70's or 80s, with the gnostic bunching leaving for Egypt and producing their own Gnostic redaction of the gospel of John, the Orthodox group then producing the final form by adding the prologue which in effect, is the ultimate censor to those who left the group. The Gospel material was circularizing throughout Church hsitory, form the infancy of the Church to the final production of Canonical Gospels. Thus the skeptical retort that "they weren't written until decades latter" is totally irrelevant. It is not the case,they were being written all along, and they were the product of the communities from which they sprang, the communities which originally witnessed the events and the ministry of Jesus Christ.